On November 9th, 2017 around 1:35 p.m. a man stole a leather belt from Black’s Sporting Goods in Dauphin, Manitoba. 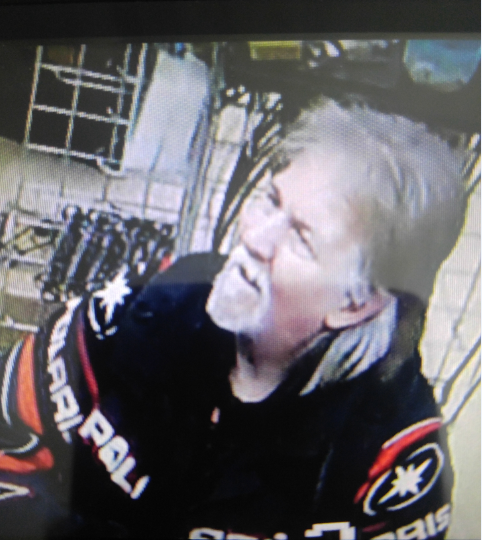 The man had grey hair and a goatee, and was wearing a black and red jacket. He was observed to roll the belt up under his sleeve before walking out of the store. Once outside the store, he got onto a mountain bike and rode away. If you have information about this incident, please contact the Dauphin RCMP Detachment at 204-662-5020, or submit an anonymous tip.